Specialising in jobs that the everyday shoe repairer can’t do, Manfred’s Shoe Lounge utilises German high-tech machinery, paired with unrivalled attention to detail. At Manfred’s Shoe Lounge, we pride ourselves on our outstanding workmanship and know how to take care of high-quality boots to guarantee they stand the test of time. We understand that to you, they aren't just another pair of shoes to dispose of from one season to the next. That's why we promise our customers the highest respect and greatest attention to detail in shoe repairs, to ensure your prized loafers, boots, heels or dress shoes are in good hands. We stock a range of quality handmade English shoes, from Jeffrey West, Loake, Barker, Harold shoes and more. We understand that for shoe lovers, your taste in shoes is more than a fad. In fact, our English and Italian influenced range of shoes we sell and repair will last a lifetime in style and durability. 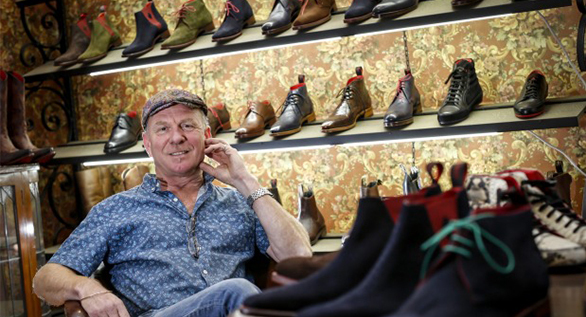 So for all your high-quality leather shoes needs – look no further than Manfred’s Shoe Lounge, for a reliable, quick and quality shoe repair in Melbourne.